Problems viewing this email? View it on our website. — Take time to disconnect from technology every now and then. — Residence hall move-in day, Aug. 11. Sign up to volunteer. — Those Who Can Do: UCO Art and Design Faculty Show, 10 a.m. Aug. 13. Learn more. — Interfaith Fair, 10 a.m.-1 p.m. Aug. 23, Broncho Lake. Learn more. — Brisch Center for Historical Performance Chamber Music Fundraiser, 3 p.m. Aug. 27. Learn more. — Community Responding to International Students Program seeks families interested in a friendship program for Central’s international students. Learn more. — Planning meeting for interprofessional education and interprofessional practice, 3:30 p.m., Aug. 15, room TBD. Contact Linda Sealey, Ph.D. Open to UCO faculty and staff. — Deadline to register student organizations, Sept. 7. Learn more. — Oklahoma Teachers Retirement System Pre-Retirement Sessions, 8:30-10:30 a.m. and 11 a.m.-1 p.m., Oct. 13. Register online. — Submit signage request forms for approval at least two weeks prior to the event date. Email ucomm@uco.edu for details. — Centralities submissions are automatically added to UCO's master calendar, the Central app and UCONNECT. — View the newly redesigned Inside Central, the official blog of UCO. Email blog ideas to ucomm@uco.edu. — The university's Academic Early Referral System (AERS) is now available to faculty. For more information, email Student Success. — For severe weather information, including a map of shelters on campus, visit the public safety website. — Read the August issue of Broncho Beat from Human Resources. 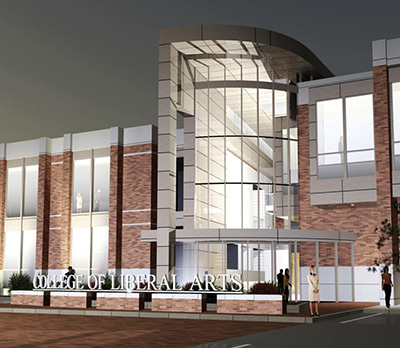 Liberal Arts Beam Signing Event — The College of Liberal Arts will host a beam signing event for the new South Wing of the Liberal Arts building at 3 p.m. Tuesday, Aug. 14, in the Radke Fine Arts Theatre, Center for Transformative Learning. President Don Betz and Dean Catherine Webster will speak at the event. Liberal Arts faculty, staff, prominent alumni and friends of the college are invited to sign the beam. For more information, email Kate Holmes. Email ucomm@uco.edu by 1 p.m. to be included in the next edition. The City of Edmond has released a guide for public street parking near the UCO campus, in accordance with city regulations. View the guide.